The department store chain today announced plans to close Knight & Lee & Partners in Southsea this summer. The 35,000 sq ft outlet is the smallest full-line shop in John Lewis’ estate but its closure in July still puts 127 jobs at risk. 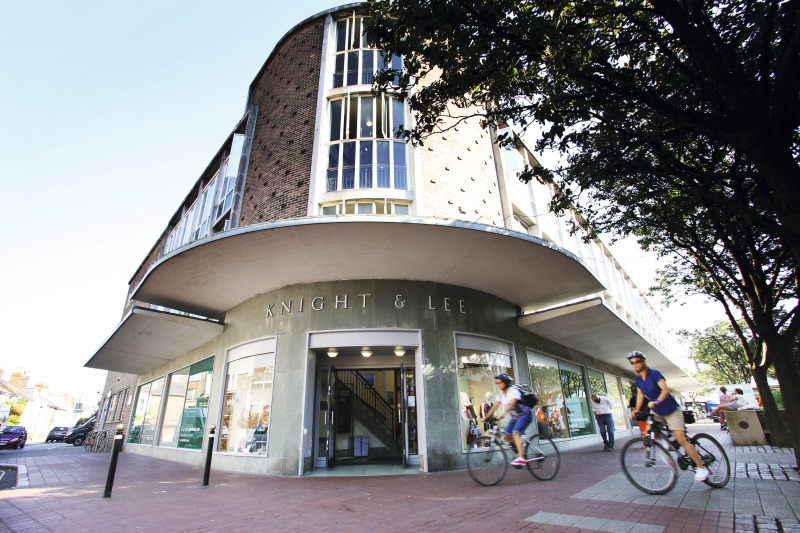 The retailer said its decision to shut the store was driven by a number of factors specific to the site: namely that it was a more attractive proposition to sell the ageing location than make the significant investment that was reportedly required to modernise the Knight & Lee building. John Lewis explained that “the physical condition, size, age and shape of the property restricts the customer offer” at Knight & Lee, adding that “a unique commercial opportunity presented itself” at the end of last year to sell the freehold of the building and close Knight & Lee. The closure puts all 127 shop partners at risk of redundancy, although the business said every effort will be made to find employees roles in John Lewis and Waitrose shops in the surrounding area. John Lewis announced a strategy update last year, which would see it “prioritise differentiation” and look at potential resizing, repurposing or relocating of shops over time. The estate is kept under constant review to ensure they are in the right locations and of the right size to deliver financial returns. John Lewis maintained it is not planning any other closures at this time. Operations director Dino Rocos said: “We have not taken this decision lightly and we considered every implication for our partners, customers and the community. However, a unique combination of factors, including the significant investment required and the opportunity to sell the property freehold, makes this the right decision for the financial sustainability of our business. As part of its strategy to increase productivity, the John Lewis Partnership also announced today announced that it will restructure its maintenance function, moving the majority of activity and service provision to a single maintenance provider - CBRE. This will create a Partnership-wide maintenance function, driving greater efficiency while improving maintenance service levels across its John Lewis & Partners and Waitrose & Partners shops, distribution network and head offices.